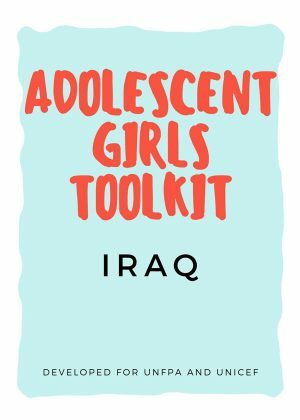 The Adolescent Girls Toolkit for Iraq is a collection of learning sessions and tools designed to empower adolescent girls from IDP, Refugee and Host communities in Iraq to address key issues on life skills, Reproductive Health, Gender Based Violence (GBV) and Financial Education. The curriculum has been designed to be implemented in a specific sequence to give girls the opportunity to develop complete knowledge and skills on a number of important topics. However, due to the context in Iraq, the sessions have also been designed as such, so they can be used for acute and specific interventions, which is explained in more detail later. The Toolkit will support implementing partners to set up girl friendly spaces, carry out girl focused needs assessments and plan an intervention accordingly. Each section (you will find the checklist box on the right of each section) works on a specific component of girl programming, so depending on the implementing partner capacity, you may start at the beginning of the toolkit, or further in, if you are already advanced in girl programming.